I prepared the craft by using some foam stickers to spell out “DADDY” on one end of the card. 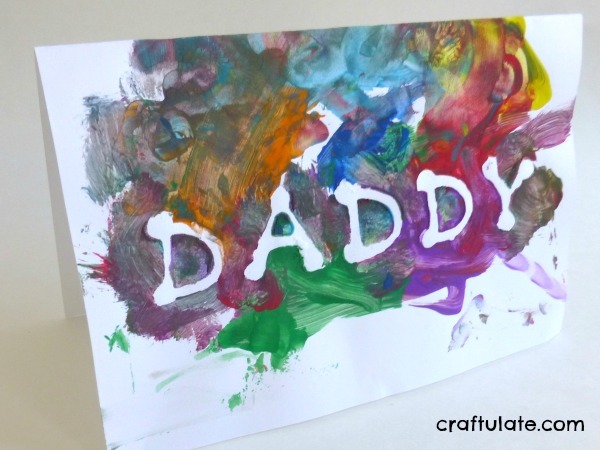 Then F painted all over the card – we used washable paint to help with cleaning up afterwards! 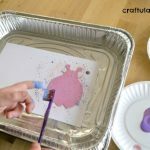 He used a big range of colors and that was fine – it’s his project! When the paint was dry I carefully removed the stickers and folded it in half to make a card. 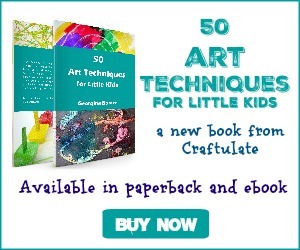 This type of painting could be used for making cards for any birthday, event or celebration! This is really a great idea. I work with ages three thru kindergarten at our church. 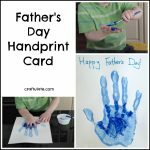 This will be our Fathers Day craft. Thank you for sharing! Thanks Jennifer – let me know how you get on!